The essential idea is that many narratives share this common structure in their major character types and plots. Story enthusiasts love playing Hero’s Journey I-spy. Points are awarded for the most surprising movies and stories in which you can spot the pattern. Even if some of them do require you to balance precariously on your right leg and squint with your left eye. Read a bit more and you’ll encounter the controversy that this model has produced. Does any such structure depend on a naive “chimera of universality“? Can astrologers learn from the masterful ambiguity of Campbell’s prose? Is this narrative model a useful pattern or a creativity-killing formula? For me, the key question is always the practical imperative – how can we, as educators, use models and discussions from related fields to stimulate how we think about engaging and communicating? Like finicky magpies we need to scavenge widely, but selectively take only the practical ideas and insights that resonate with us. To that end, the above video (by Glove and Boots) uses puppets and movies to introduce the basic structure of the Hero’s Journey model. How can the model inform the way we use narrative in our communication? How can we learn from the engagement techniques used in the video? How can the wider debate around the validity of this model, help us to frame the many learning models we encounter in our work? 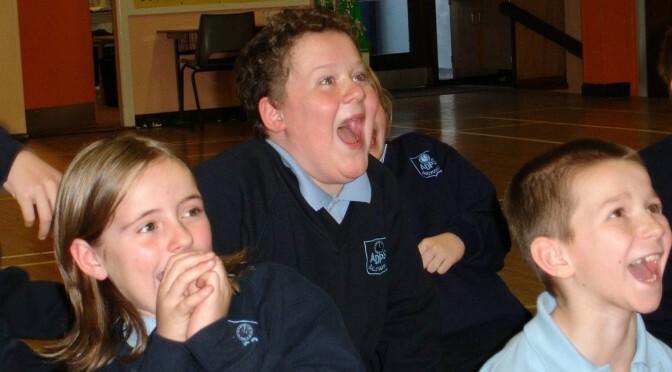 Why are science demonstrations important? Science demonstrations are often criticised for their passive nature, their gratuitous exploitation and their limited ability to develop scientific knowledge and understanding. In some of today’s active-learning-obsessed classrooms, demonstrations are getting a bad reputation compared to their hands-on equivalents. provoke further interaction, thought and discussion. 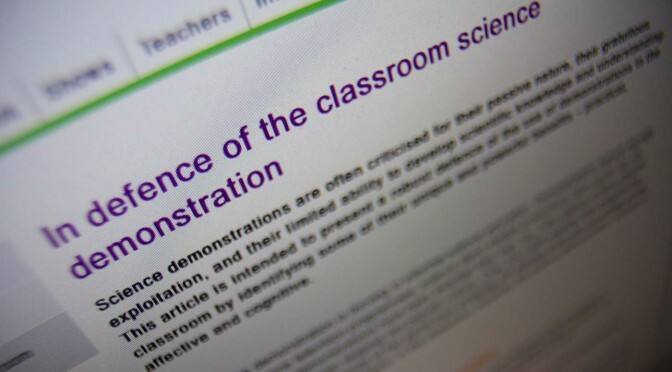 I’ve tried to capture a rationale for the benefits of science demonstrations in this paper written for science teachers, but much of this applies to the demos performed by science communicators too. So why are science demonstrations important to you? What kind of example is set by the organisers of the largest STEM engagement event in the UK when they book Brainiac Live – Science Abuse as a headline show? 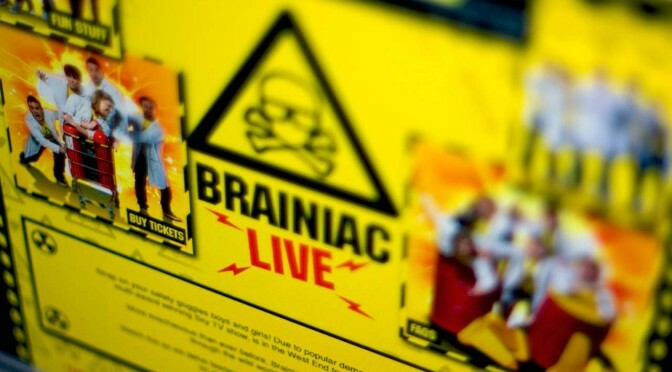 What possessed STEMNET and the ASE to think that collaborating in a ticket promotion of Brainiac Live’s recent West End debut was a good idea? Faked demonstrations. Mistakes in basic science. A disregard for copycat risks. A counter-productive desperation to ‘make science fun’. A profound lack of passion for science. Are these really qualities with which these organisations want to associate themselves? Incredibly, it is claimed that the stage pyro “rockets” create the additional thrust rather than the fact that the performer is firing the extinguisher almost continuously on the second occasion! This could have been a high-impact demo with strong theatrical production values and good audience interaction. However, it is completely compromised by a shameful disregard for the science and a preference to trick the audience with a stage firework. It’s so frustrating – a single line at the end of the routine, humorously acknowledging the real role of the “rockets”, could have saved it entirely. This has been pointed out to them. But they don’t seem to care. I despair at seeing the wonderful art and science behind science demonstrations being exploited by a theatre production company who do not seem to care about either. There are many passionate, knowledgeable, professional science demonstrators in the UK for whom this caricature of science communication is ludicrous. I’ve written an open letter of concern explaining my criticisms in more detail. If you share any of these concerns, I urge you to express them to the STEM engagement organisations which book or promote this show.